Our primary purpose in collecting personal information is to provide you with a safe, smooth, efficient, and customized experience. We only collect personal information about you that we consider necessary for achieving this purpose. If you choose to subscribe to our Services, we may require you to provide contact and identity information, billing information, shipping information and other personal information. Where possible, we indicate which fields are required and which fields are optional. We automatically track certain information based upon your behavior on the Site. We use this information to do internal research on our users’ demographics and behavior to better understand, protect and serve you. This information may include the URL that you just came from, your computer browser information, and your IP address. We use your personal information to facilitate the services you request. We use your personal information in the file we maintain about you to: troubleshoot problems; collect fees owed, inform you about online and offline offers, services and updates; customize your experience; detect and protect us against error, fraud and other criminal activity, and enforce our User Agreement. As a matter of policy, we do not sell or rent any of your personal information under any circumstances to third parties for their marketing purposes without your explicit consent. However, the following describes some of the ways that your personal information may be disclosed in the normal scope of business to provide our services. Legal Requests. We cooperate with law enforcement inquiries, as well as other third parties to enforce laws to help protect all parties from bad actors. Therefore, in response to a verified request by law enforcement or other government officials relating to a criminal investigation or alleged illegal activity, we can (and you authorize us to) disclose your name, city, state, telephone number, email address, account history (including, but not limited to all stored recording files) without a subpoena. Without limiting the above, in an effort to respect your privacy and our ability to keep the community free from bad actors, we will not otherwise disclose your personal information to law enforcement or other government officials without a subpoena, court order or substantially similar legal procedure, except when we believe in good faith that the disclosure of information is necessary to: prevent imminent physical harm or financial loss; or report suspected illegal activity. Company employees who have access to personal information of clients are required to keep the information confidential and not use it for any other purpose than to carry out the services they are performing for the Company. We offer you the ability to automatically review and change the information you submit to us by logging into the Site and entering in the new information yourself. Generally, we will not modify your personal information based on your request because it is very difficult to authenticate your account manually. You should promptly update your personal information if it changes or is inaccurate. Upon your request, we will deactivate your account, contact information, billing information, shipping information, and financial information from our active databases. To make this request. Such information will be deactivated as soon as reasonably possible based on your account activity and in accordance with our deactivation policy and applicable law. Tracking System Direct is committed to providing online customers the highest level of security. This is why Tracking System Direct utilizes Virtuemart, PayPal and Authorize.net to process transactions securely, safely and quickly. Tracking System Direct will collect and save online ordering information such as customer name, address, email address and other information provided during the checkout process. However, Tracking System Direct does NOT store or save any customer credit card information. Information gathered from online orders is used internally and not shared with any outside companies for marketing purposes.Your personal information and recording files are stored on secure servers located in the United States. We use procedural and technical safeguards to protect your personal and account information against loss or theft as well as unauthorized access and disclosure to protect your privacy, including encryption, “firewalls” and Secure Socket Layers. 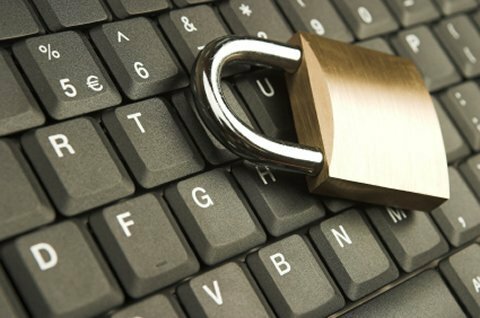 We treat data as an asset that must be protected against loss and unauthorized access. We employ many different security techniques to protect such data from unauthorized access by users inside and outside the company. However, please be aware that “perfect security” does not exist on the Internet. Children (persons under the age of 18) are not eligible to use the Services unsupervised and we ask that children do not submit any personal information to us. If you are under the age of 18, you may only use this Site in conjunction with and under the supervision of your parents or guardians.